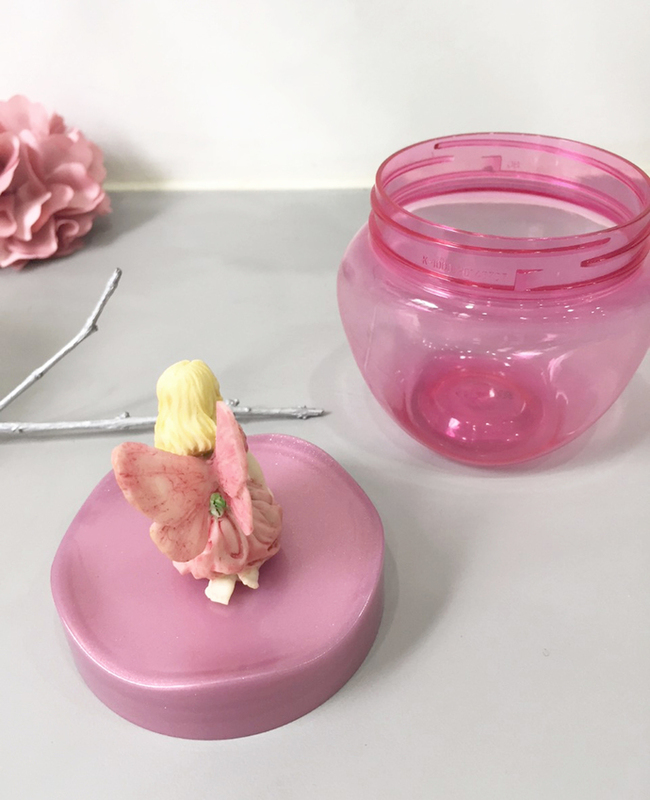 Inspired by fairy tale, this is an up-cycled plastic container with resin fairy, perfect pretty decorative item for your little girl to hold paper clips, candies, small items and just for displace. 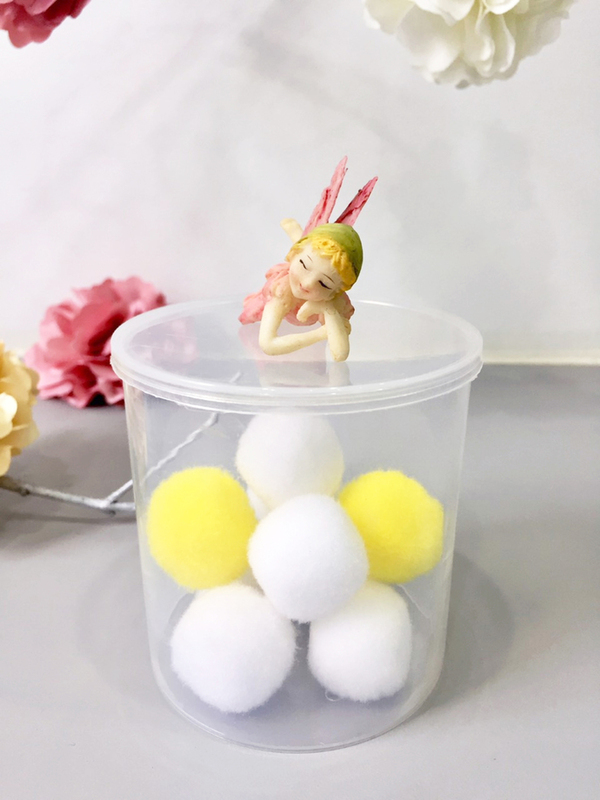 Perfect gift for Christmas, birthday and even as baby shower decoration. 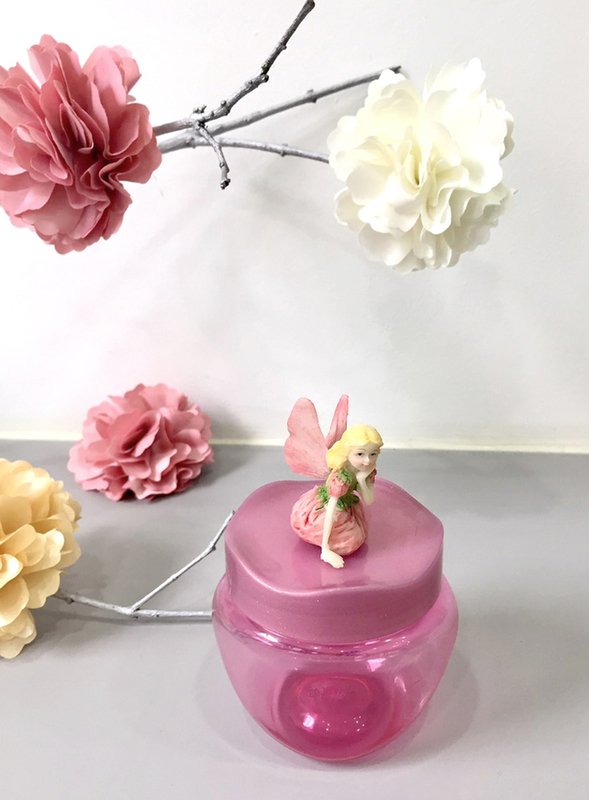 *The whole item measures about Height 12.5CM X Width 7.5CM (including the fairy), while the resin fairy measures at Height 5CM. 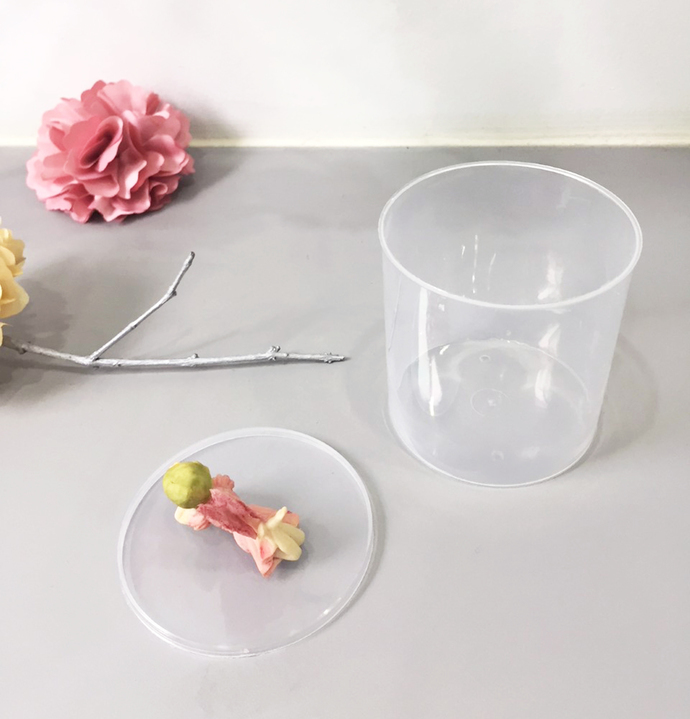 Fixed it on the plastic jar with strong glue. 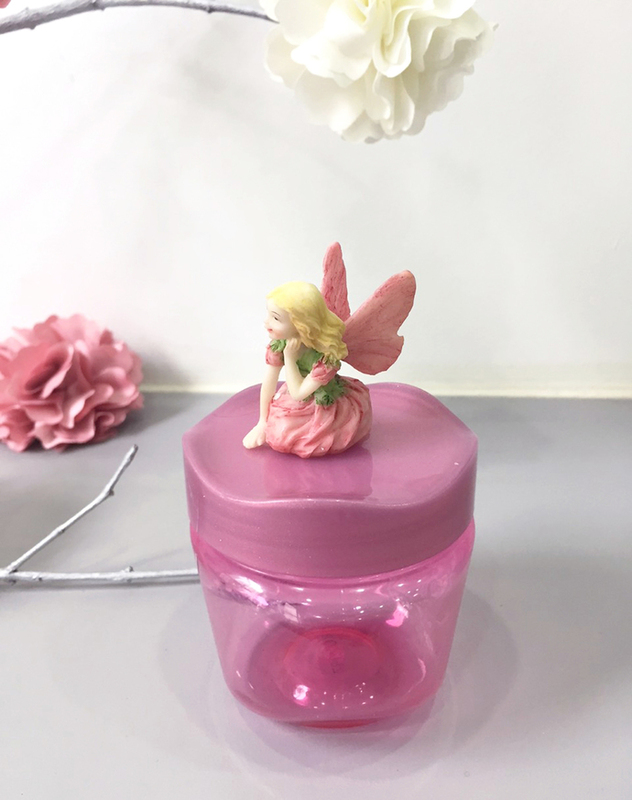 *White cylinder plastic jar design is also available, please refer to the pictures. 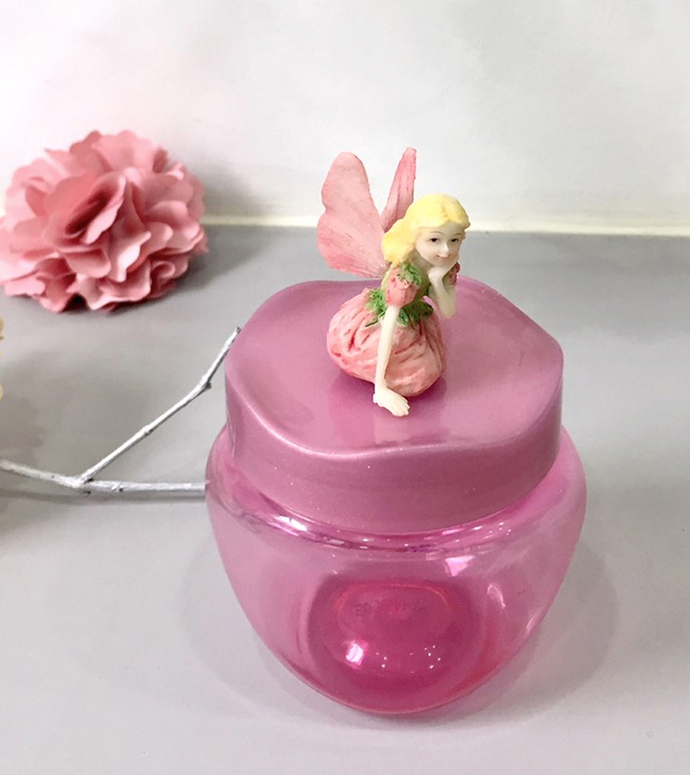 *Get a set of Pink Fairy Jar with decorative Pink Fairy Cameo pillow cover as special gift!! Too Cute! *NO dish washer. NO microwave. 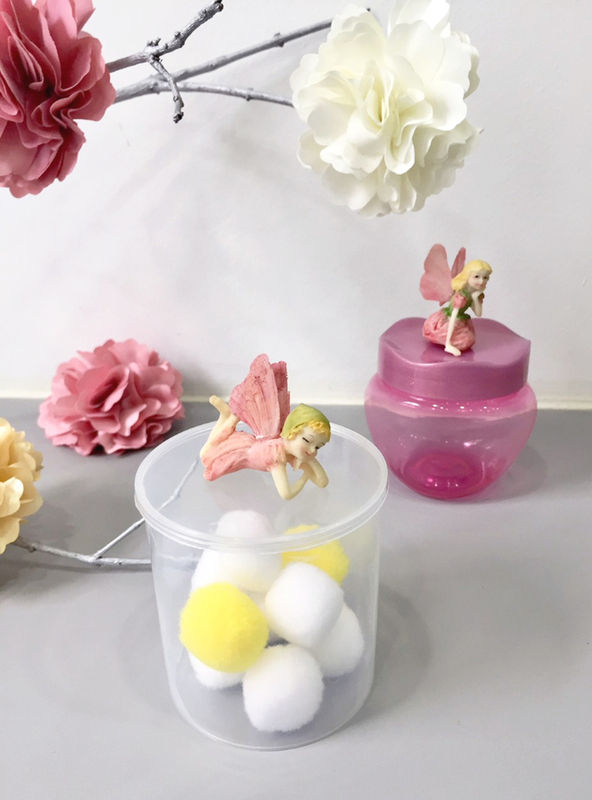 *Spot cleaning with damp cloth. 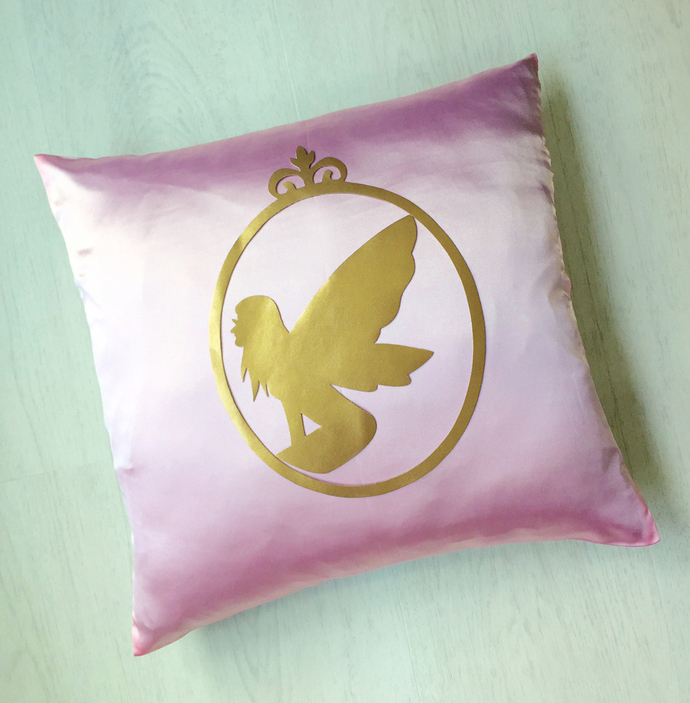 Avoid scrubbing on the fairy.